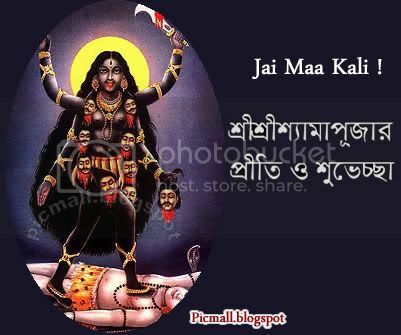 We are providing Goddess Kali Puja Images.The much celebrated Kali Pooja of West Bengal coincides with the Diwali Festival. Gusto and enthusiasm for Kali Puja in West Bengal is same as seen for Diwali in rest of India. May goddess bless you and your family with health and happiness. The only apparent difference one can see is that while rest of India worships Goddess Lakshmi on this day, in West Bengal Goddess Kali is the chief deity for the occasion.